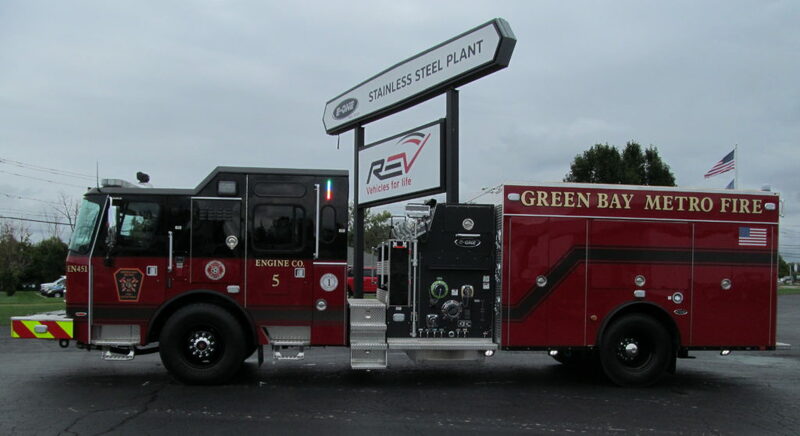 This E-ONE Stainless Steel Top Mount Pumper has a new home with the Green Bay Metro Fire Department in Wisconsin. 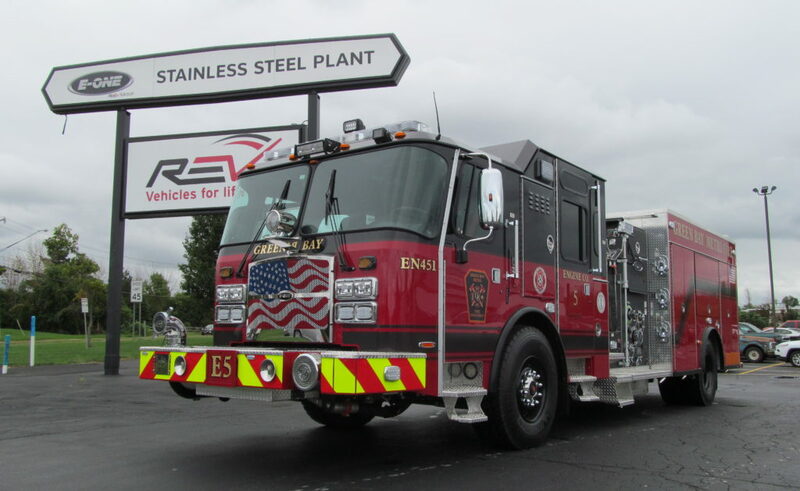 Manufactured in our Hamburg, NY, facility, it’s loaded with a Typhoon X stretched long cab with 74″ CA and 12″ Vista, Cummins L9 450HP engine, Hale QMAX 1500 GPM single stage pump, 780 gal 1/2 “T” shaped water tank, 30 gal foam tank, and an Onan 15KW PTO generator. 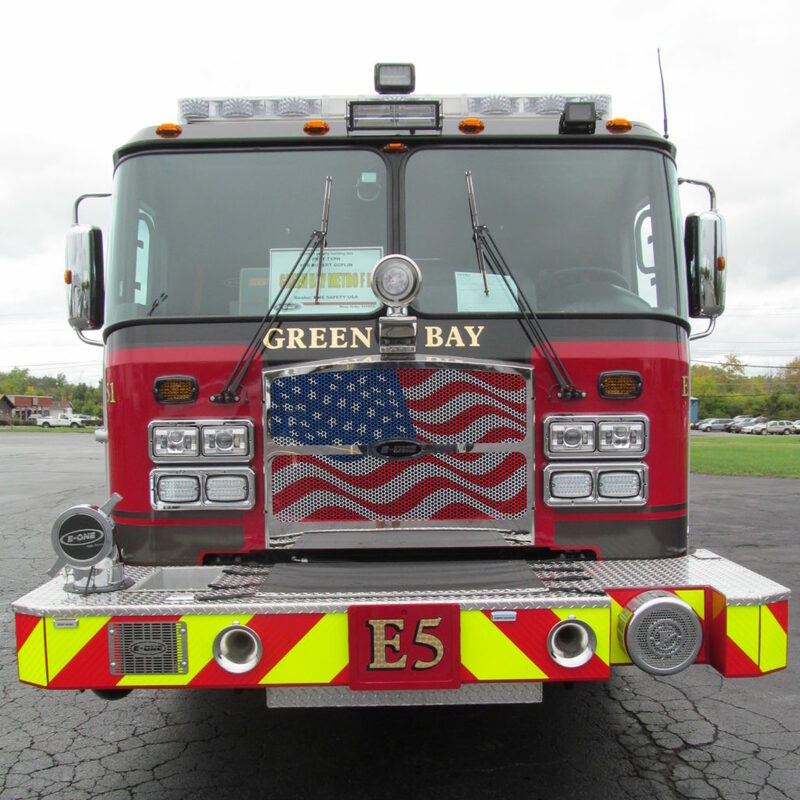 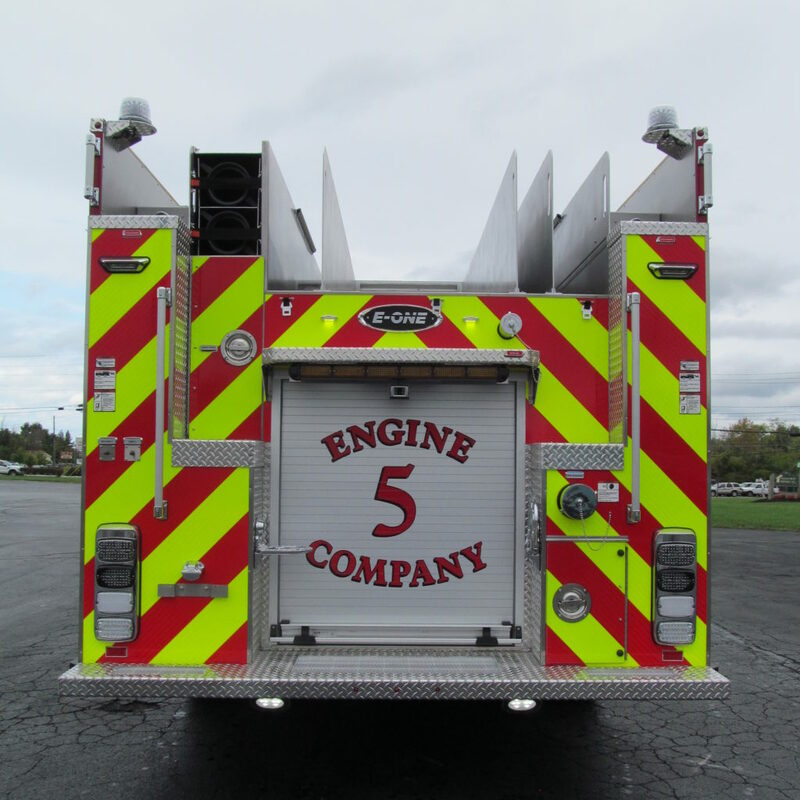 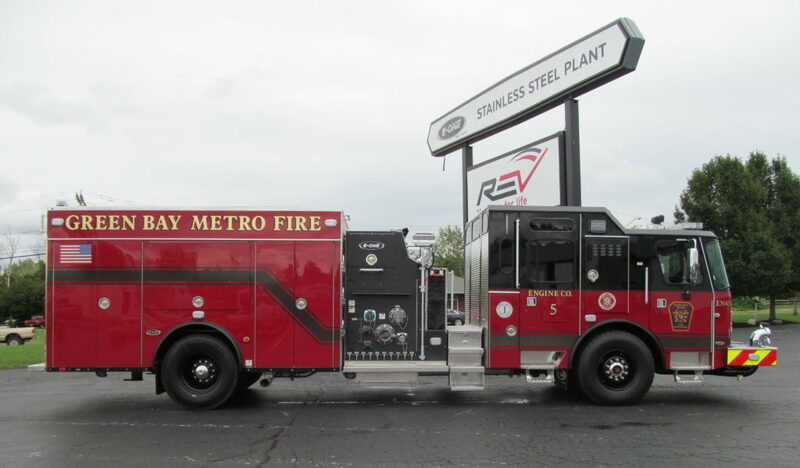 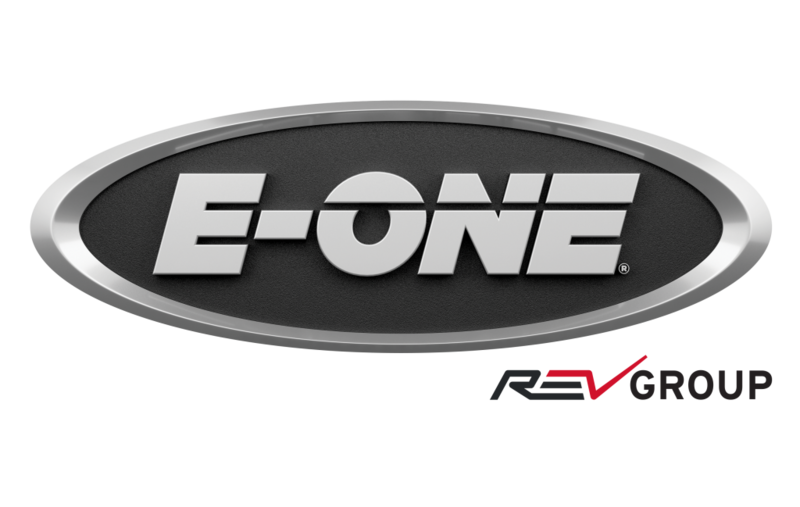 Thank you, Green Bay Metro Fire Department, for choosing E-ONE!